When you own a home in West Michigan with our extreme changes in weather, you need a quality roof installed properly to stand up to the elements. Melvin Belk Roofing Company will properly roof your home and prepare it for the constantly changing Grand Rapids weather. Established in 1983, Melvin Belk Roofing has provided expert inspections, preventative maintenance, leak identification, roofing repairs, and new roof installations to our wonderful customers in Grand Rapids, Holland, Muskegon and surrounding areas. 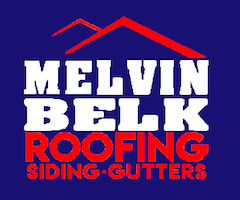 You can trust all your roofing needs to Melvin Belk Roofing, leading the roofing industry with quality, reliability, fair pricing and most of all, integrity. When it comes to residential roof installation, the options are endless. Melvin Belk Roofing offers only the best roofing products in the industry and all at an affordable price for our Grand Rapids residents. The options and styles are endless! Commercial roofing is obviously different from residential roofing. Fortunately, Melvin Belk Roofing is the number one choice for roof installation in the Grand Rapids area. 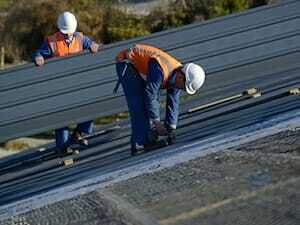 Commercial roofing must be strong, durable and long lasting. Metal, Rubber EPDM & Vinyl TPO roofs are the most desired for commercial properties, however it is always the client’s choice. We will help you determine the very best type of roof for your individual business. Roofing repairs in Grand Rapids are usually unexpected because destructive storms can pop up quickly in West Michigan. Melvin Belk Roofing understands this, so we provide quick response and rapid repairs in times of emergency. Many times what looks like a major project can be quickly repaired by a professional roofing contractor. If you are in the Grand Rapids area and need a roof repaired, contact us today. Melvin Belk Roofing offers FREE Estimates and the some of the best prices in the area. As you know Grand Rapids can have some pretty severe storms which can easily cause damage to your home. 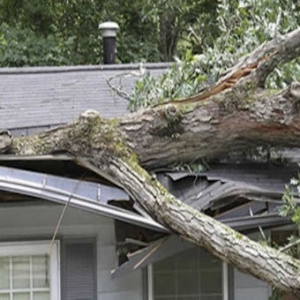 Wind can knock off shingles, hail can dimple or crack shingles, and trees can fall and punch holes in your roof. Melvin Belk Roofing is here to help with any type of roofing repair you may require and can even even assist with your insurance claim! Melvin Belk Roofing provides roofing services for both commercial and residential buildings. We offer free estimates and fair prices, so why not give us a call today? We have been in the business for over three decades and our main goal is to offer our clients the best service and prices in the Grand Rapids area! Awesome work from a great roofing company! 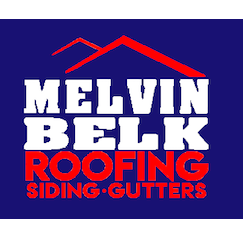 Melvin Belk has done two roofs for us…Once on our old house and then when we moved and needed a roof we knew who to call…Melvin Belk…We have since moved again and if we need a roofing contractor we will definitely call Melvin Belk Roofing!!! The best!!! Belk roofing, I found them to be honest, hard workers!! They know what they are doing!! For most homes in Grand Rapids, Siding Installations can take from 1 to 3 days depending on the size of your home and the complexity of the structure. About Grand Rapids Michigan – Grand Rapids Community – Grand Rapids News – Grand Rapids Business – Grand Rapids Home Builders Assoc.